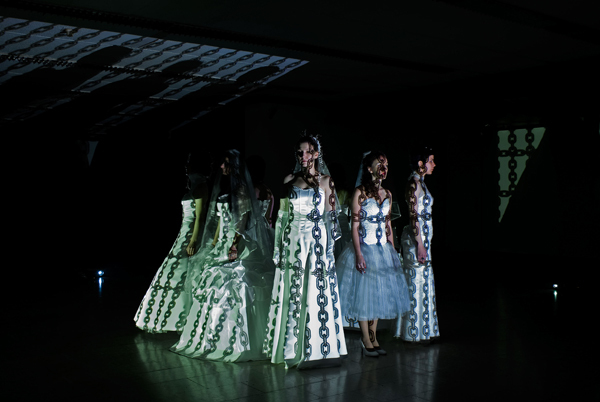 This work is done as a multi-media work and it comprises a performance and video screenings. 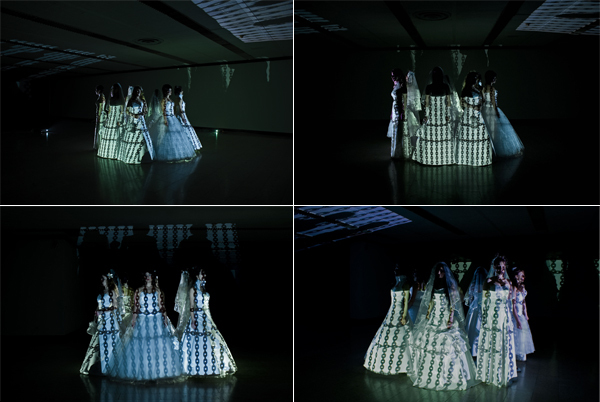 The performance involves eight girls dressed in white wedding gowns that represent purity and innocence and, at the same time, belong to the globally accepted code of beauty, of what is seen as perfect woman. With their bodies, they create pillars, thus constructing a limiting space upon which I project the photos of chains. The work refers to the position of woman in social context, human trafficking, white slavery, captivity and denial of woman’s right to choice and freedom.